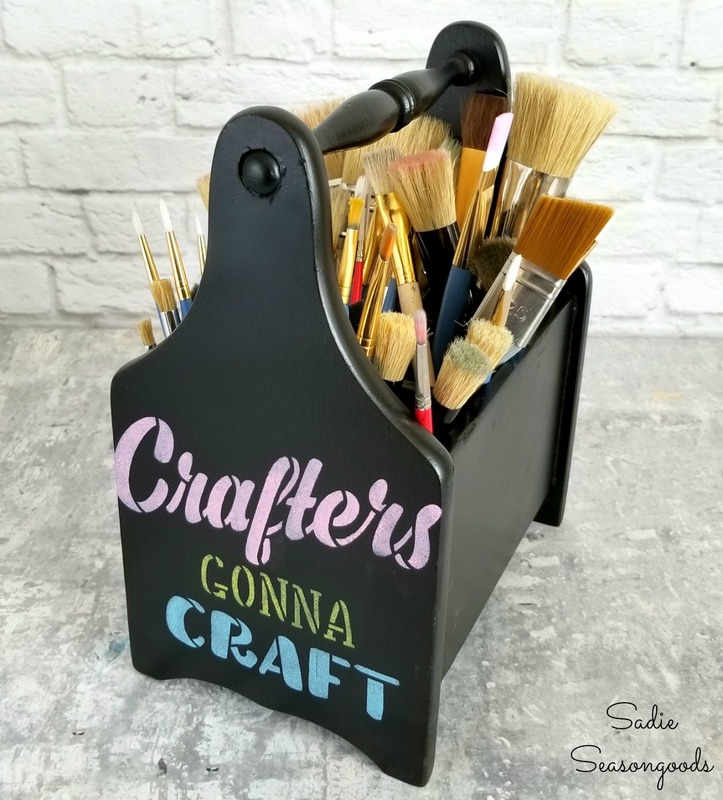 I’m fairly certain that one of the universal truths in the crafting world is that craft supply or craft room organization is a CONSTANT struggle. 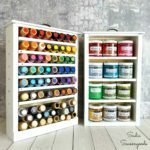 Whether it’s beads, small bottles of paint, sewing notions, or paper ephemera, there is an unending need for craft storage and a craft organizer for each and every material. And I am no stranger to upcycling ideas for craft room storage. I’ve completed several repurposed projects so far and have even more ideas in the hopper. 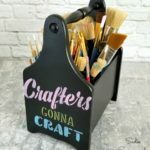 But I am certainly not alone- my fellow bloggers have TONS of upcycling ideas for organizing your craft supplies, and I’ve gathered them here for your inspiration. 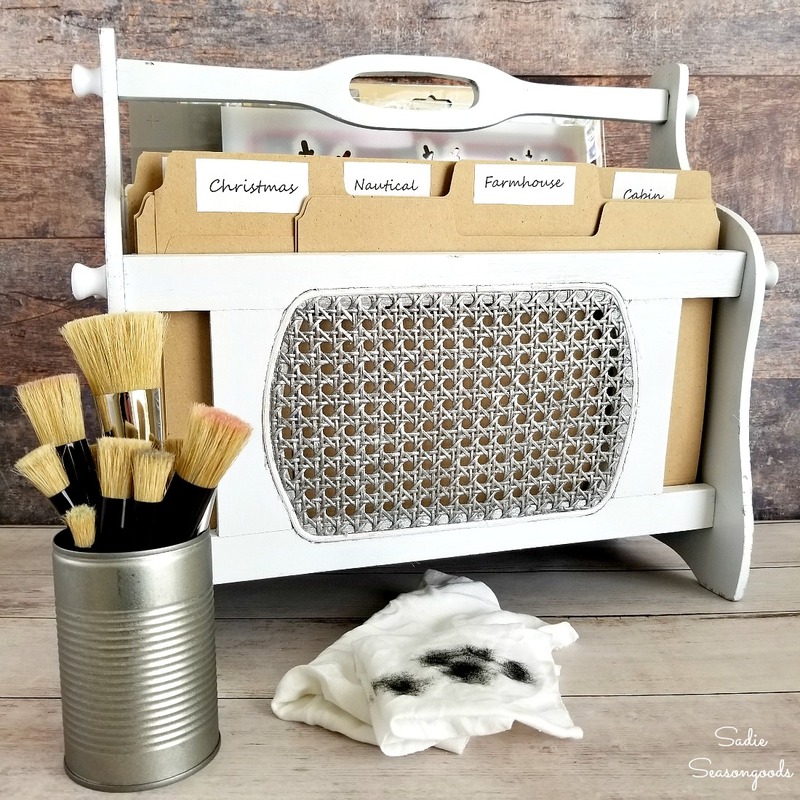 I always say that upcycling and organizing go hand-in-hand because so many random objects from thrift stores can “hold” stuff, especially small stuff like craft supplies. Markers in a mason jar…glitter in salt shakers…you get the picture. And moms and grandmas who used old cookie and biscuit tins to hold buttons or sewing supplies were doing this LONG before we had trendy words like “upcycling”. 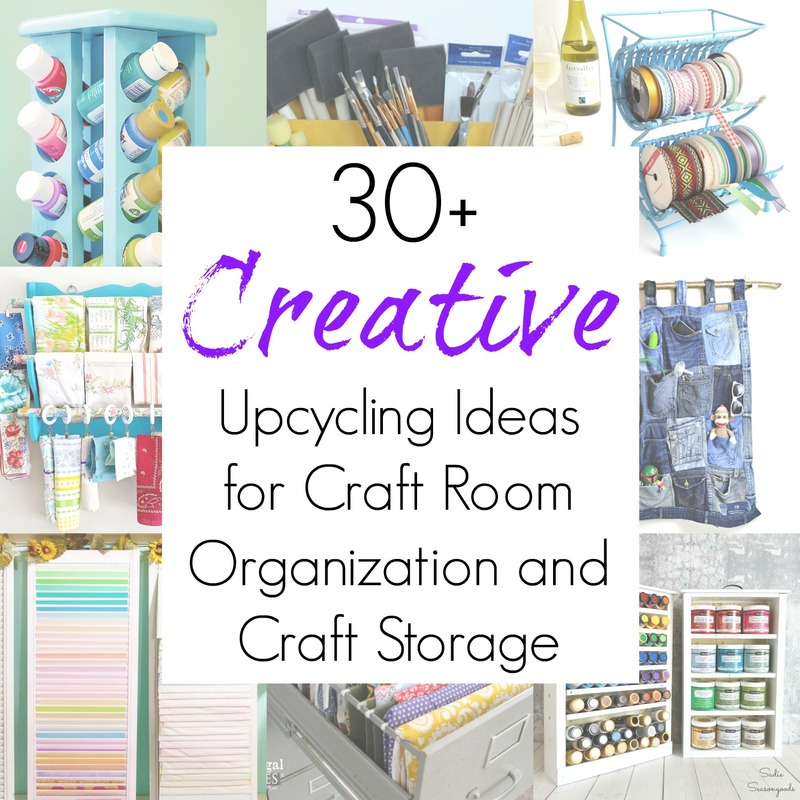 So, if you’re looking for craft room storage or some general craft organizing that is upcycled and repurposed, then this collection is most definitely for you! Well, what sparked your curiosity? Or conversely, have you upcycled something totally differently for your craft supplies? I’d love to hear about it- and I can’t wait to share with you my future craft organizer projects soon! 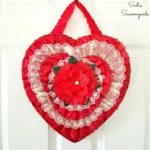 Interested in more upcycled organization projects for your kitchen, jewelry, and other areas of your home? Please check out my entire project collection here for even more inspiration! Thanks so much for including me 🙂 All of these organizers are amazing! I need to spend some time in my workshop and make these happen! Thank you for sharing this Craft Storage and Craft Organizing post – so much inspiration. Great ideas, Sarah–I just linked to the post in my Facebook group 🙂 Thanks for all the resources! I found a gunrack for $3 but haven’t made a ribbon rack like yours yet! Good winter project. In the old days I used several spice racks for my acrylic paints but have graduated to the nice storebot spinning one that still doesn’t hold all my paints (now including fabric paints and glass stains!). I made your upended stool with castors for wrapping paper storage and loved using it during Christmas! A thrifted plastic 3 drawer storage unit holds my glitter and glitter glue. These supplies all mulltiple like dirty dishes left in the sink at nite! And then, my local Big Lots had Christmas stuff 90% off; just had to buy some ribbon, ornaments, paper, flower bushes, etc. to craft for my church’s Christmas bazaar–another pile! With this “Snowmageddon” storm, I am doing some crafting! I think we can ALL use as much help in this area as possible!!! Thank YOU! I’m always looking for new ways to organise my craft supplies. These ideas are great, thank you for including my denim pocket organiser. What a awesome collection of craft storage ideas! Lots of creative ideas! I love finding new ideas for getting my craft room organized. Thank you so much, Linda- it’s a neverending quest, that’s for sure. I’m seeing some pretty clever ideas for my future craft shed. Great round-up. Thanks for including mine in the bunch, Sadie!! You are so very welcome, Amy, and I hope this sent a few new visitors your way!! !